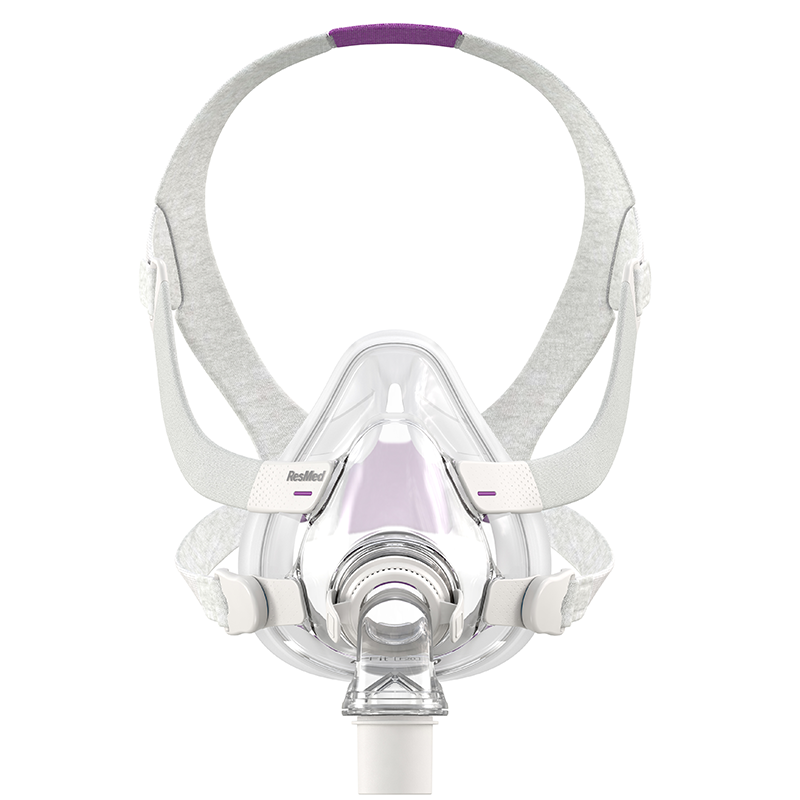 The AirFit™ F20 for Her is our most technologically advanced full face mask yet, with stylish lavender accents and a smaller size range for women. It features the InfinitySeal™ cushion, designed to provide a reliable seal regardless of sleep position. Its simple design with magnetic clips and a quick-release elbow makes it easy to use and reassemble after cleaning. 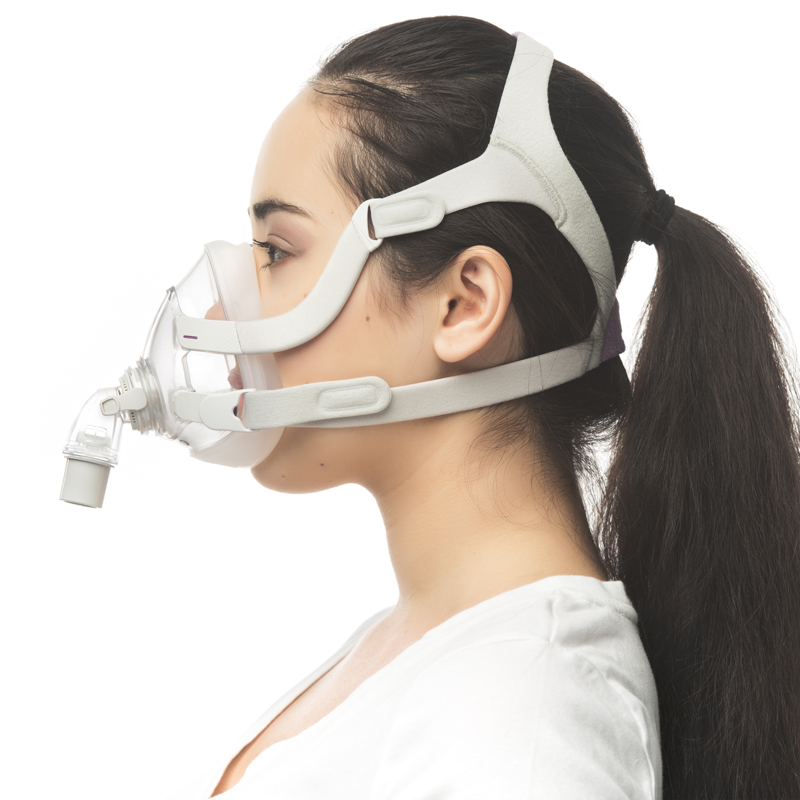 The "For Her" version of the AirFit F20 mask is only available in Small and Medium. See the AirFit F20 for size Large. NEW! AIRTOUCH MEMORY FOAM cushion now available for F20 Masks. The AirTouch F20 cushion will fit the AirFit F20 frame. 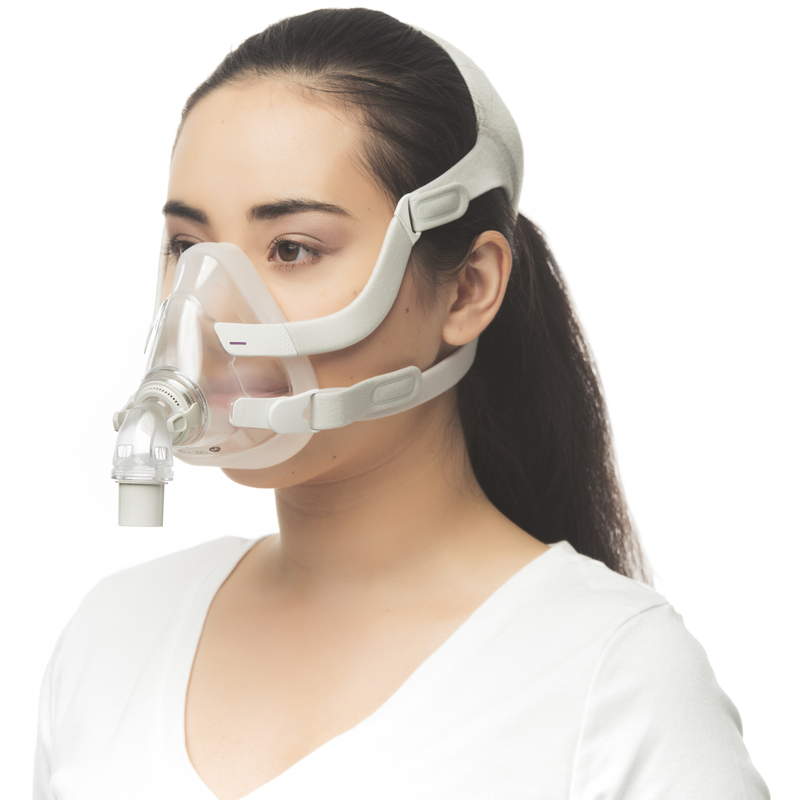 The AirTouch F20 Mask without Headgear will fit the AirFit F20 Headgear. Click here for AirTouch F20 For Her Memory Foam Full Face Mask Without Headgear. Click here for the AirTouch F20 Memory Foam Cushion. 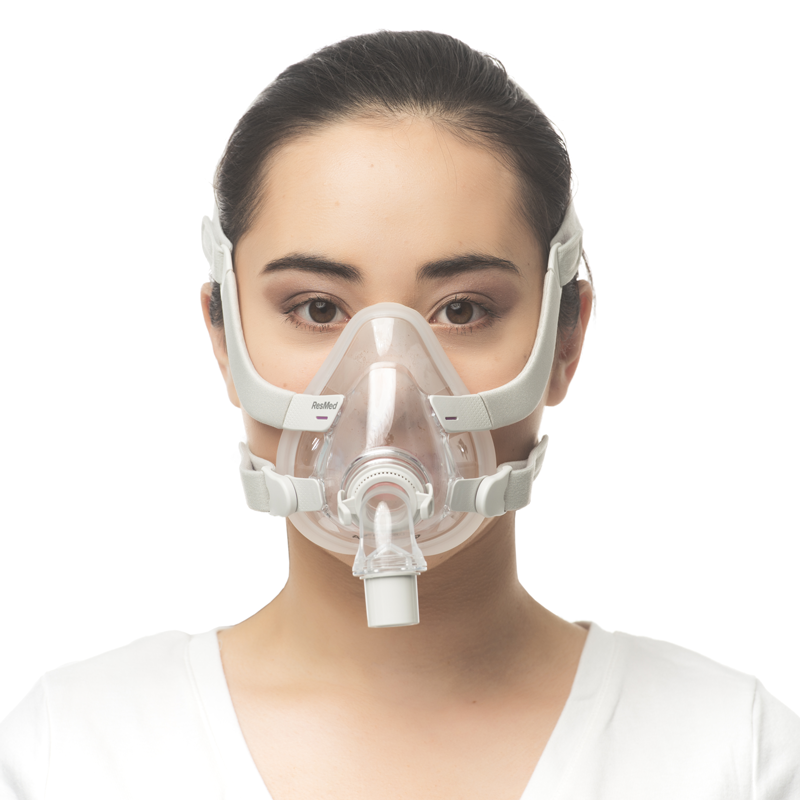 The AirFit™ F20 for Her full face mask is our most technologically advanced full face mask yet, with stylish lavender accents and a smaller size range for women. It features innovative new enhancements and a simple design that makes it easy to use and reassemble. 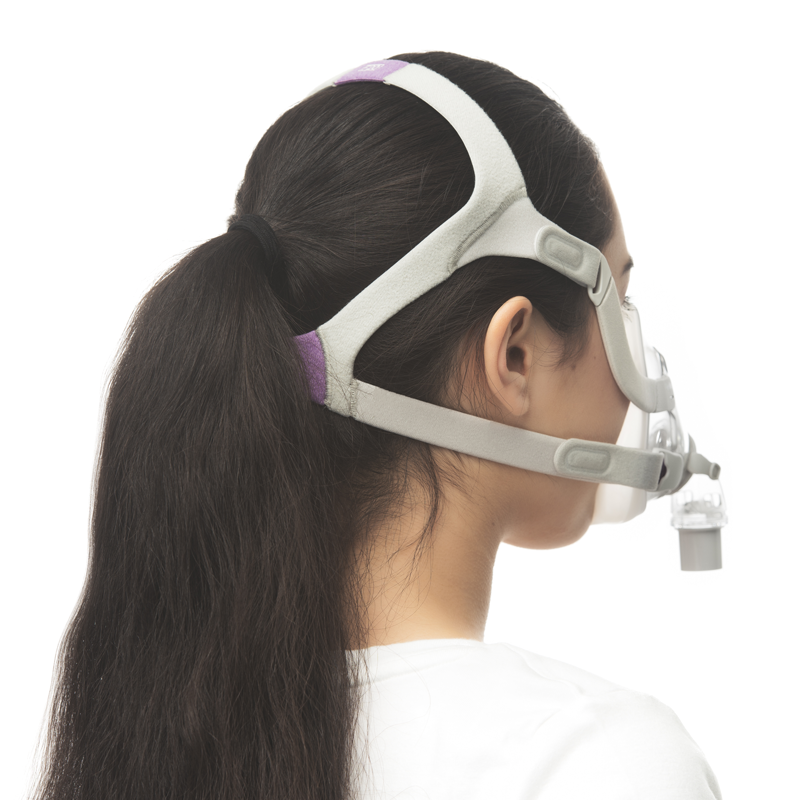 * Magnets are used in the lower headgear straps and the frame of the AirFit F20. Ensure the headgear and frame is kept at least 2" (50 mm) away from any active medical implant (eg, pacemaker or defibrillator) to avoid possible effects from localized magnetic fields. The magnetic field strength is less than 400 mT. Contraindications Use of masks with magnetic components is contraindicated in patients with the following pre-existing conditions: • a metallic hemostatic clip implanted in your head to repair an aneurysm • metallic splinters in one or both eyes following a penetrating eye injury. Need more help? Click here for more how-to videos.